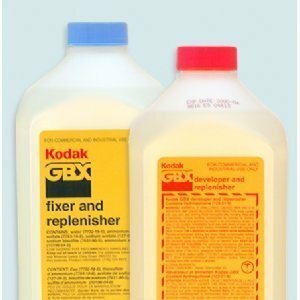 For the manual processing of all KODAK Intraoral and Extraoral Film. Both developer and fixer are single-solution concentrates, which provide mixing convenience, chemical stability, and identical mixing and dilution procedures for tank and replenishment solutions. 1L each, makes 1 gallon of Developer and 1 gallon of fixer. View More In Radiology & Diagnostic Imaging.